唐新元, 王梅, 陈洪舰, 李红英, 蔡佳作, 何多龙, 崔百忠. 基于地理信息系统的青海省60年鼠疫流行病学特征[J]. 中国媒介生物学及控制杂志, 2018, 29(6): 604-608. TANG Xin-yuan, WANG Mei, CHEN Hong-jian, LI Hong-ying, CAI Jia-zuo, HE Duo-long, CUI Bai-zhong. Epidemiological characteristics of plague in Qinghai province based on geographic information system[J]. Chin J Vector Biol & Control, 2018, 29(6): 604-608. Corresponding author: WANG Mei, Email: wangmei19790624@126.com. Abstract: Objective To analyze the epidemiological characteristics and epidemic situation of plague in Qinghai province by using geographic information system (GIS) data platform to provide the basis for the formulation of prevention and control measures. Methods Using the spatial analysis function of plague prevention and control geographic information system in Qinghai province, the distribution, incidence and geographical factors of plague foci and the epidemiology of animal plague or human plague in 1954-2017 were analyzed and classified according to time and space. 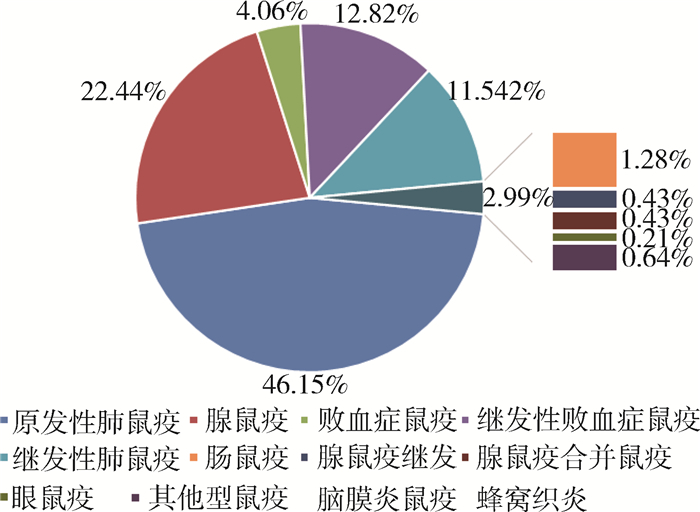 Results There are 2 kinds of plague (Himalaya marmot plague and Microtus fuscus plague) natural foci in Qinghai province since 1954, animal plague epidemic has been occurring year after year, the epidemic has never been interrupted. Over the past 60 years, human plague did not occurred in 14 years, human plague cases were reported in the remaining years. In total, 198 outbreaks of human plague, 468 cases of disease, 240 cases of death, and fatality rate 51.28% were recorded. There are 30 counties in Qinghai province where there is an epidemic of animal plague. 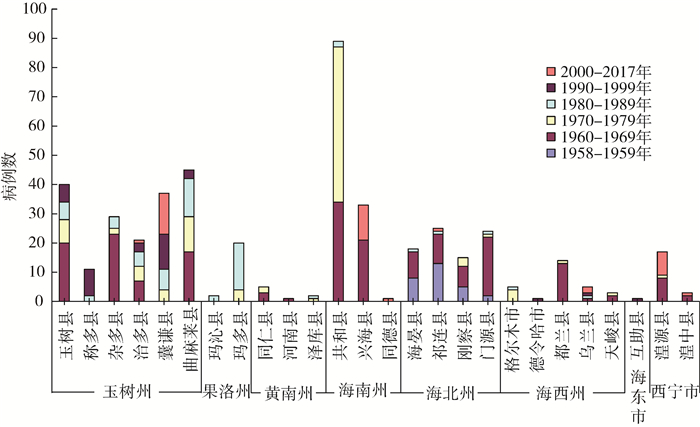 The plague epidemic mainly distributes in 12 counties of 5 states, they are Xinghai and Tongde counties of Hainan state, Qilian county of Haibei state, Wulan, Tianjun, Delingha and Geermu of Haixi state, Yushu, Chenduo, Zhiduo, Nangqian, Qumalai county of Yushu state and Guoluo state. The plague epidemic time is the May-October, the peak period of isolation of Yersinia pestis strain is from July to September. Conclusion During the past 60 years, the epidemic of animal plague and human plague in Qinghai province decreased slowly from 1950 s to the end of the 1990 s, followed by a resurging trend since 2000.